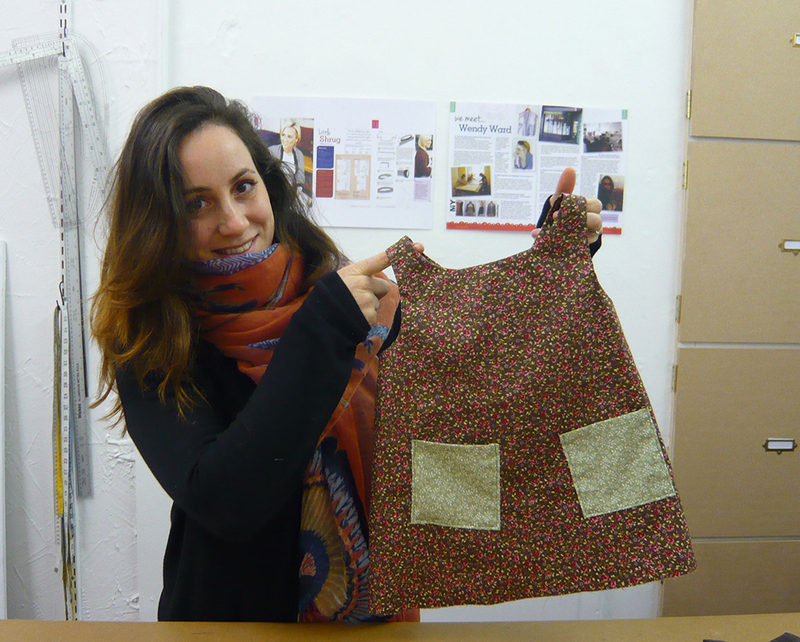 Marilena with her gorgeous baby girl’s dress. She made such a good job of it; everything was so neat and she’d previously just sewn cushions, bags, things involving straight lines! 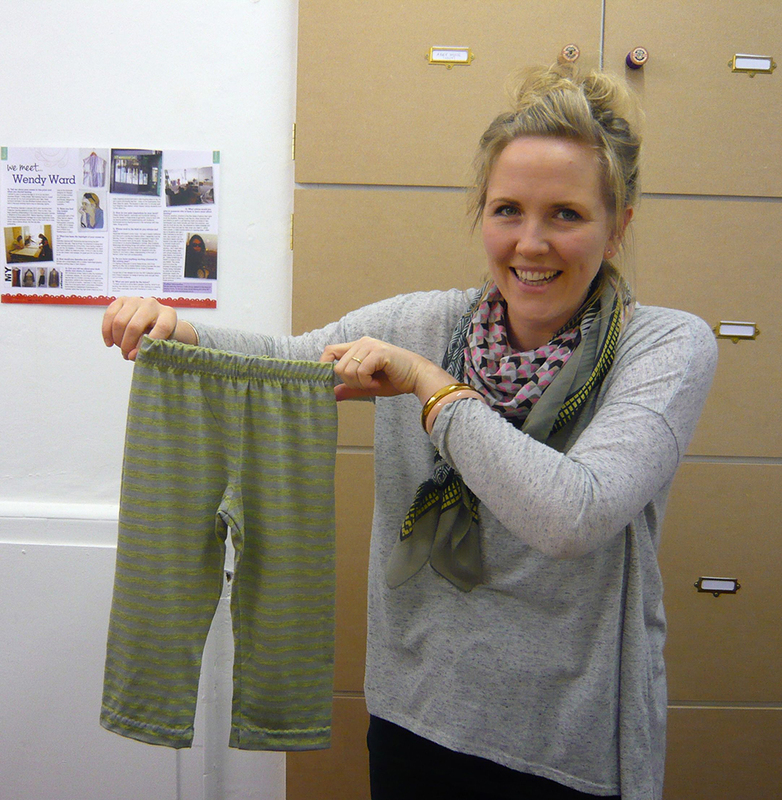 Just one of the pairs of trousers Charlotte made for her little boy. Stripes were the order of the day and she went home with a 2nd pair just needing elastic and hems and plans to make a pair for herself with one of my other patterns! 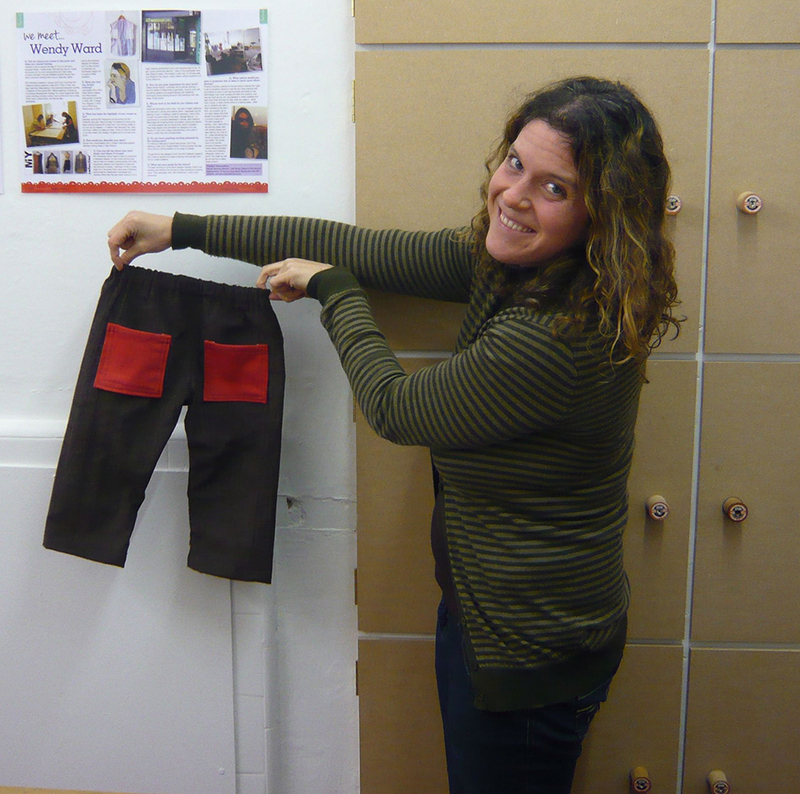 Chloe and her lovely wintery boy’s trousers in lightweight soft chocolate brown corduroy and contrasting red pockets. We ummmed and aahhhhed collectively about what colour to do the pockets……..I think red was the right choice! The next “Sewing for Babies and Kids” workshop is on Sunday 12th May. Contact Wendy on 01273 775951 or 693451 or miyworkshop[at]gmail.com to book your place. This entry was posted in Full Day Classes, MIY Workshop, Sewing & dressmaking, Student work and tagged learn to sew brighton, MIY Workshop, sewing classes Brighton, sewing for babies and kids, sunday workshops, Wendy Ward. Bookmark the permalink.